In the comics, Dr. Michael Morbius suffered from a rare blood disorder. Experimenting upon himself, he found a cure for the disorder, but it created another one — he had become a living vampire, needing to feed upon the blood of others in order to survive. The trade-off was lighter bones, the ability to glide on air currents, super-strength, with the downside of having red eyes and ultra-white skin. 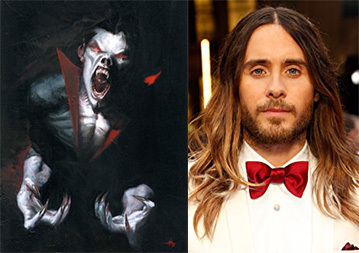 Jared Leto may not have the red eyes (I do not judge), but he does seem to have the physique to play Morbius, and so Variety reports that Sony Pictures has tapped him to star in their latest project set in the Spider-Verse, Morbius. More in the vein of Venom than the animated holiday film Into the Spider-Verse, Morbius will be directed by Daniel Espinosa, with a script (for now) by Burk Sharpless and Matt Sazama. With another anti-hero like Venom, Morbius helps Sony carve an identity for their Marvel films that the Marvel Cinematic Universe has barely touched. Yes, horrific things happened in Avengers: Infinity War, but it wasn’t a horror film. Venom and Morbius will be, and should be, much darker, though since his first appearance in Amazing Spider-Man #101, Michael Morbius has been a tragic figure, unlike Eddie Brock. Created by comics legends Roy Thomas and Gil Kane, Morbius has carried a few solo features, and served in the Legion of Monsters, the Midnight Sons, and even occasionally been an agent of S.H.I.E.L.D. This will be the first successful attempt of three to bring Morbius to the big screen. In 1998, a shadowy figure was intended to appear at the end of New Line Cinema’s Blade, which screenwriter David S. Goyer had wanted to set up as Morbius to be the villain of Blade II. The character was also included in a 2000 deal with the now-defunct Artisan Entertainment as one of 15 properties that they would develop into film. As the only film to actually appear from that deal was Man-Thing, it seems that Morbius dodged a (silver) bullet — as did Iron Man, Thor, Daredevil, Deadpool, Black Panther, and Iron Fist, though Iron Fist may have stumbled into the path of another. As for Leto, well — you know. Variety reassures its readers that Leto jumping into the Spider-Verse doesn’t interfere with Warner Bros’ plans to have him star in another couple of films as the Joker. 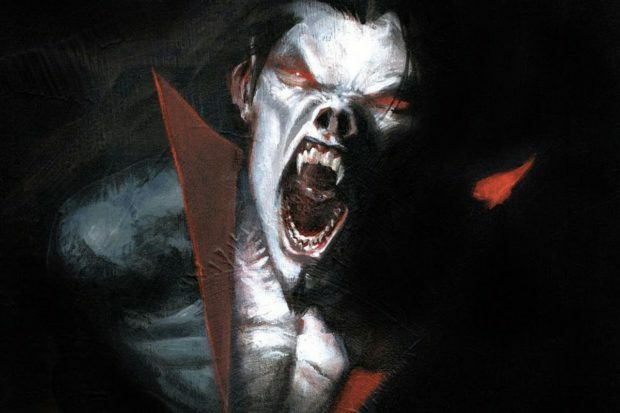 Though no release date has been announced, Morbius is likely to start production sometime this year. If Venom turns out to be the Halloween hit Sony is looking for, you can bet they’d like that lightning to strike two years in a row.